Recorded live at the E-Live festival, September 27th, 2003, Eindhoven University. Limited, numbered edition of 200 copies. This is a perfect compilation to get into if you enjoy Berlin School ambient stuff. This was the first CD of its kind I purchased, and I was blown away ... The pads, the mezmorising synths, smooth melodies create a truly wonderful musical experience. 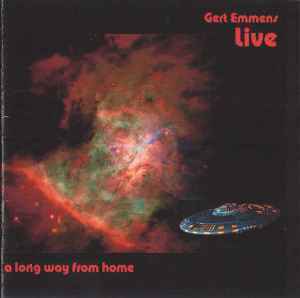 If you never heard of Berlin School style music, I HIGHLY recommend that you check out music by Gert Emmens. I am now a huge Berlin School addict!! !